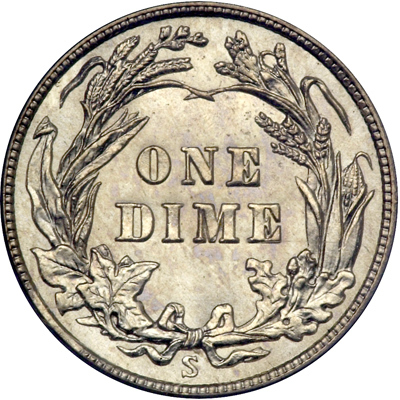 Despite its modest mintage, the 1912-S dime is fairly common across most grades. 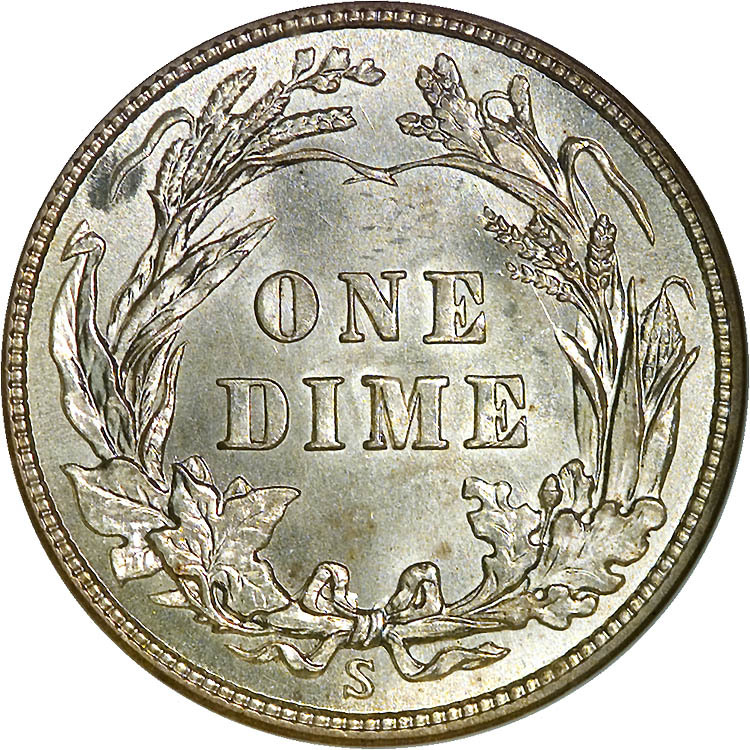 As with nearly all of the later (post-1905) dimes, there appear to have been multiple rolls set aside for future collectors. 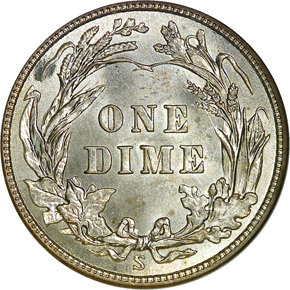 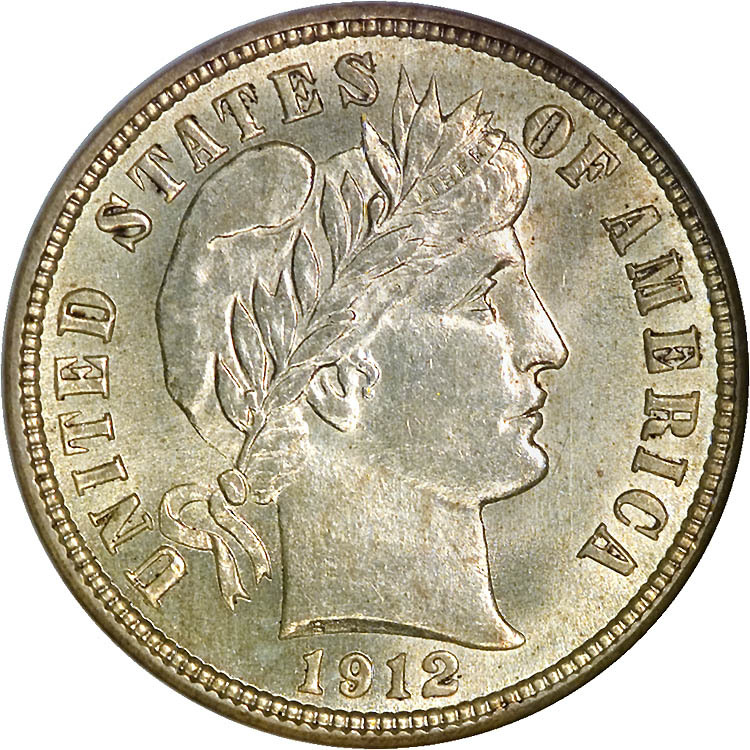 Gems are only moderately scarce, due perhaps to the excellent strike and luster of the typical Mint State 1912-S dime. 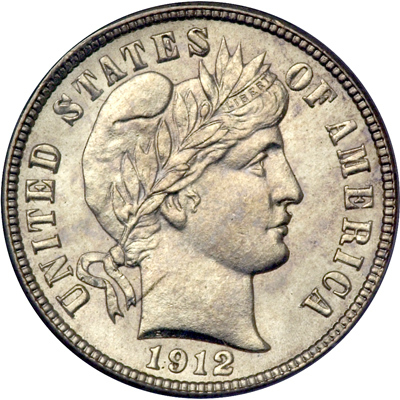 A repunched mintmark variety is known for this issue, but the secondary impression is shallow enough that it will be difficult to detect on heavily worn examples.